“It’s given me a new perspective on my identity, authority and the power that I walk in. It’s something I can use every day of my life.” Ken B. “I’m doing the things that Jesus did when he walked the earth.” Norma C.
“It was higher, deeper and wider in every respect than I expected.” Carol H.
“The biggest take-away for me from the school has been the awareness of the authority that God has given me.” David C.
“I’ve come to understand more about my identity and authority so that I can’t wait for difficult situations to come my way so I can apply the Spirit of The Lord.” Don R.
“The teaching is amazing, surpassing anything we ever dreamed of. Our understanding and walk with The Lord is so enhanced. It’s life-changing.” Frank T.
“I now wake up sensing His Presence every morning.” Jacklyn P.
“TOLMS has taken my wife and me to a deeper place. It has helped our family, our marriage, our relationship with The Lord…” Jim M.
“I’ve become more comfortable talking to people about God.” Jeff B. “I’ve learned to check in with the heart of God in my everyday interactions with people. That’s been a precious, unexpected pleasure.” Jeff S.
“It’s been transformational in a huge way. My relationship with God is so much based in who I am in Him, not what I do for Him.” Juan C.
“I can hear God so clearly now!” Robert W.
“I have found freedom to discover the joy of being a daughter and knowing who I am.” Sherry P.
“Knowing now that I hear clearly from God, I can give people encouraging words that are exactly what they need to hear.” Veronica J. “My heart came alive” Jill C.
“I have loved the school, it’s vision and culture. I have also loved the high quality of the teaching and impartation. It has exceeded my expectations, and my expectations are pretty high!” Keith L.
“I am more confident than I’ve ever been before in who I am and who God says I am. I’ve been given specific tools on how to step out and show God’s love to people.” Meagan S.
“The sense of my identity has gone from my head to my heart.” Sarah P.
“Your life will be changed when you see yourself the way God sees you.” Lawrence M.
I have known Keith and Susan Schaad for several years. They were leaders with me at Bethel Church, and are amazing revivalists. I have had the privilege of speaking at their school, and was so impressed with the level of equipping, empowering, and activation the students had already received. The environment felt like I was at the Bethel School of Supernatural Ministry. 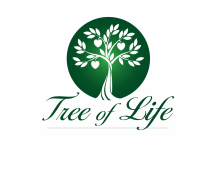 I would highly recommend Tree of Life Ministry Schools if you are wanting to go to new levels of revelation, application, transformation, and manifestation of God's Kingdom in and through your life. I would like to endorse Tree of Life Ministry Schools which will equip you in your supernatural identity, build family, and understand how to walk as a revivalist. They offer great training and teaching in your call and how to practically apply walking in the fullness of God’s inheritance in your every day life. Join them and see how you can become a world changer. Susan Schaad are awesome ministers and carriers of the presence and goodness of God. They have honest and revelatory teaching styles that continually bring people into greater encounters with Jesus. They are great activators in the supernatural and their school of ministry is raising up people who know they were born to change the world. God is always using them in creative and powerful ways to see His will done on the earth.